Clean, well equipped, comfortable, great location. Mila was very welcoming and helpful, and I felt secure being a solo guest knowing she was on hand should I need. The location is great and the facilities excellent. It was comfortable, clean and gave us all the space we needed for a weekend away. The Kitchen was full of useful equipment. Great location close to spinning fields and ten min walk to town. Clean and tidy. Good communication from hosts. Sadly did not end up stopping in this apartment and booked into a hotel instead. 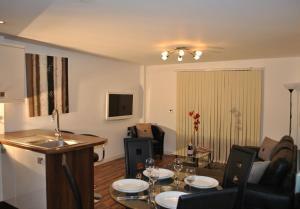 Lock in a great price for Dreamhouse Apartments Manchester City West - rated 8.9 by recent guests. A 5-minute walk from MEN Arena, these stylish, modern apartments are within a 10-minute walk of Deansgate Shopping Area. 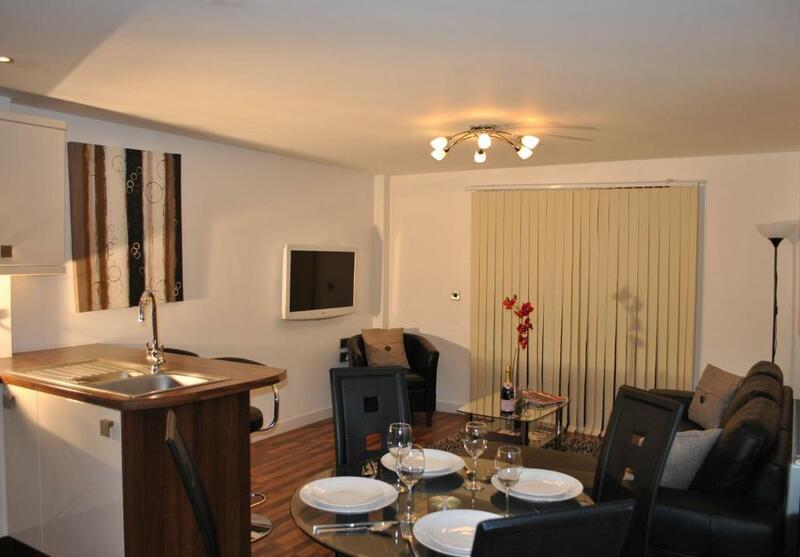 Salford Central Train Station is a short walk from Dreamhouse Apartments Manchester City West. Each apartment at the Dreamhouse Manchester City West has a spacious living area, featuring a Samsung 40-inch LCD TV, with Freeview and digital radio channels. The apartments offer modern kitchen facilities including a washer/dryer, dishwasher, oven and microwave. There is a communal terrace with patio furniture. 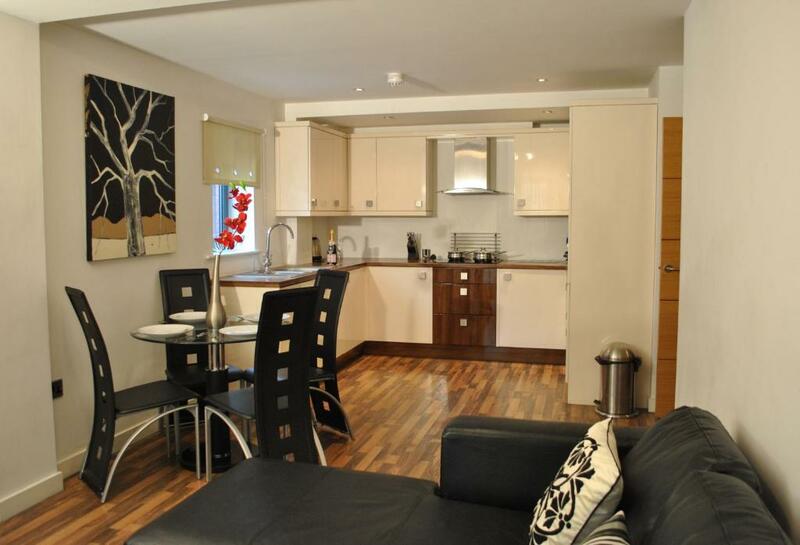 Dreamhouse apartments are within a 10-minute walk of Manchester Central Exhibition Centre. Dreamhouse Apartments Manchester City West has been welcoming Booking.com guests since 13 Jul 2010. 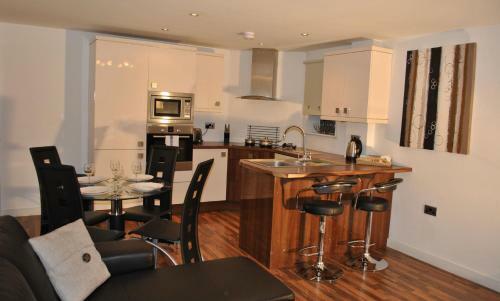 When would you like to stay at Dreamhouse Apartments Manchester City West? House rules Dreamhouse Apartments Manchester City West takes special requests - add in the next step! Dreamhouse Apartments Manchester City West accepts these cards and reserves the right to temporarily hold an amount prior to arrival. Guests must contact Dreamhouse Reservations at least 2 hours prior to their arrival to arrange check-in. Contact details can be found on the Booking Confirmation. Please note that Dreamhouse can only accept a maximum of 2 apartments to be reserved per booking. Please note that this property does not accept stag or hen parties. Please inform Dreamhouse Apartments Manchester City West in advance of your expected arrival time. You can use the Special Requests box when booking, or contact the property directly with the contact details provided in your confirmation. The location was great. It was comfortable. No complaints, would happily stay again. The electric heaters made the room far too hot but without them on it was far too cold, no happy medium. The apartment was very spacious and modern. It was warm! We ended up switching all the radiators off! The welcome pack said that we should have had some milk; we had tea and coffee but no milk, so our Saturday morning drink had to wait until we got out into the city. The showers were a little tired. Website made the interior look so far luxury than was, light didn’t work on en suite mirror one side, shower needed smarting up, dirty tiles etc. Noisy evening as in between two pubs. WiFi not very good. That it was 2 bedroom and secure parking included. Key collection was arranged for late arrival.